If any of you attended JCCS last year, which I’m sure some of you did, you’ll remember how ridiculous parking is for this venue. Much of it has to do with the Carnival cruise leaving on Sundays in the afternoon – definitely not the fault of the promoters. To combat that this year, I was part of the solution – I rode the bus. I live about 2 miles away. On the way in I spotted this pretty sweet 370 on some fresh 5Zigens. 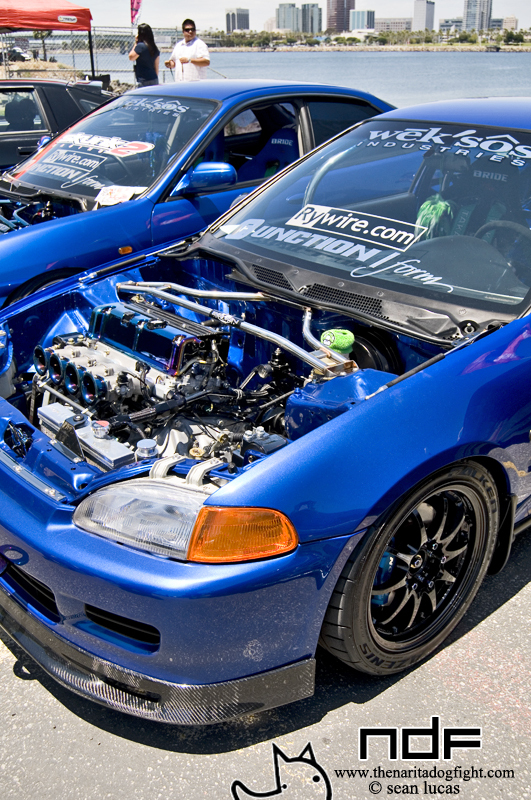 A pretty iconic EG around Long Beach. It was cool they had this parked right by the entrance. It was on a set of uber-custom EVO’s. 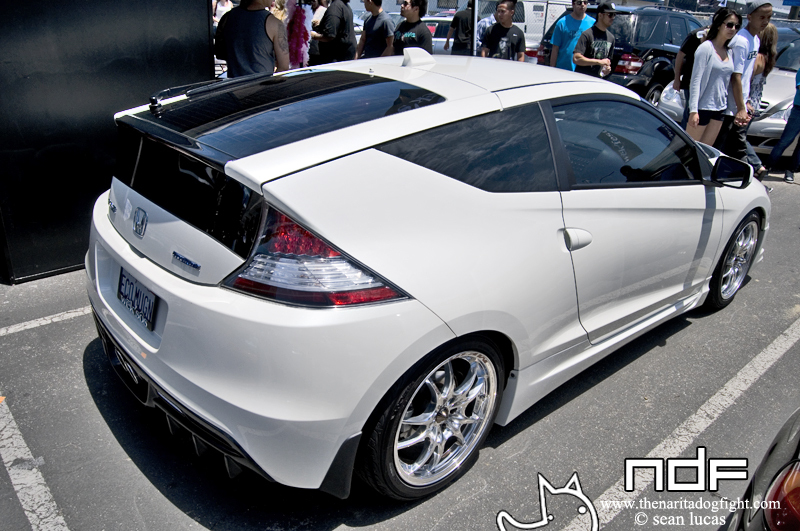 Parked right next to it was this clean CR-Z on some polished MF-10’s. I like the little rear diffuser. I tried to be as methodical as I could with covering this show. I likened it to mowing the lawn – making my way up one row, and back down the other. This way, I got shots of the front and rear of most cars without having to circle around them. It’s hella easy to get wrapped up in one car and get off track. I really like the supports on this wing. 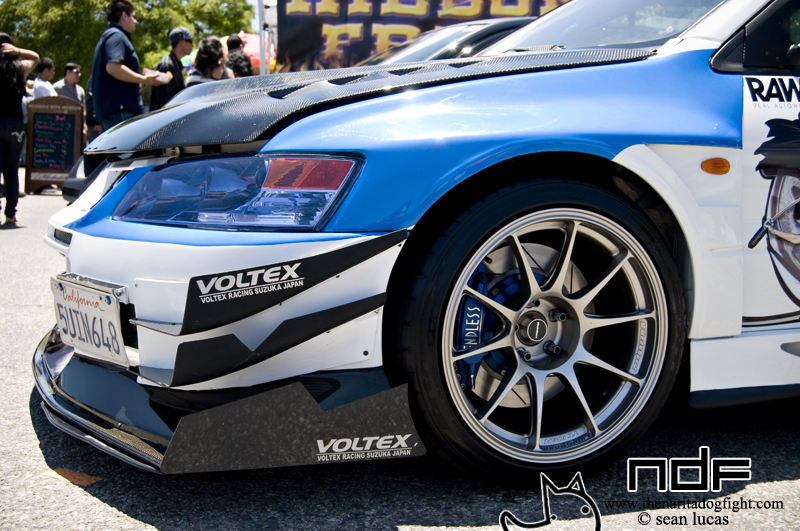 I really like Evo’s, and Evo’s with Voltex aero are even better. Nothing absolutely spectacular about this, but I figured I’d post it because LS460’s are baller. The engine bay panels are pretty clean. I knew there was going to be some nice VIP rides, but Air Runner was killing it. I remember they had a good showing at Nisei last year as well – so many nice luxury rides. 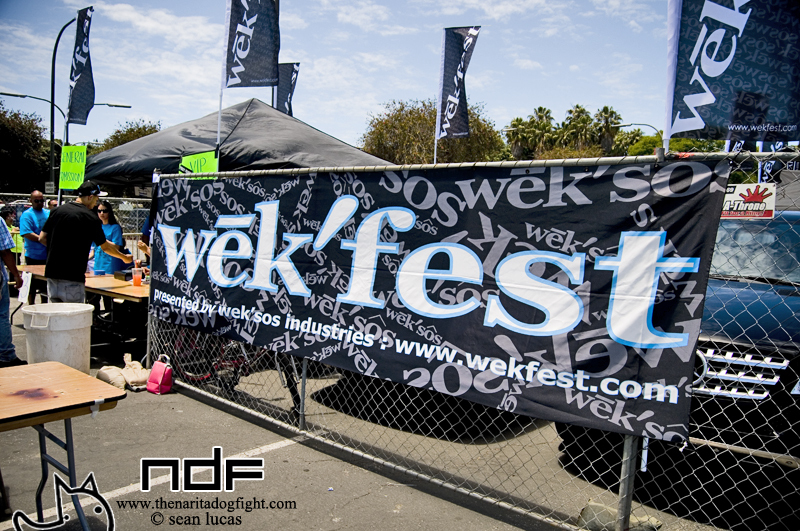 The only other vendor/group that was close was Platinum VIP. We’ll get to them later on the other side of the parking lot. Nice GS. I’m not sure what kind of wheels these are, but they interest me. I had to spend a good amount of time with the Nissan they had on display. 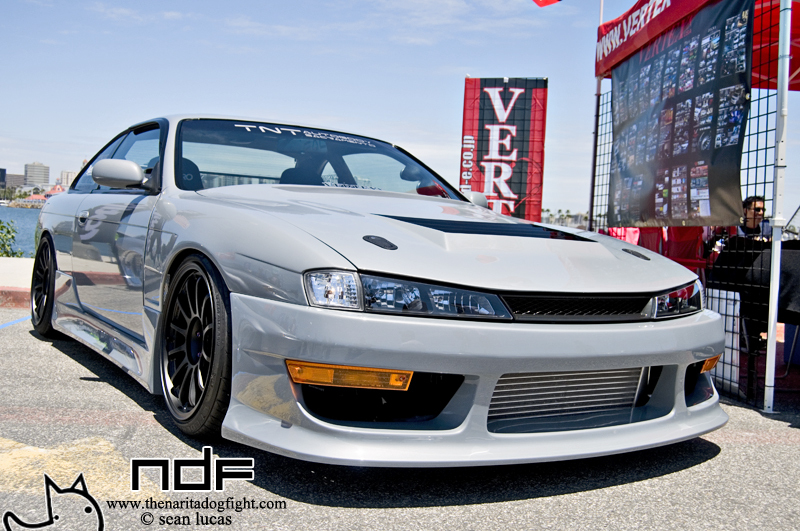 Vertex is one of my favorite aero companies, and they did an amazing job with this S14. The color was really cool. It seemed to match the newly dressed chassis lines very well. Fitment on the Vertex kit was spot on as well. 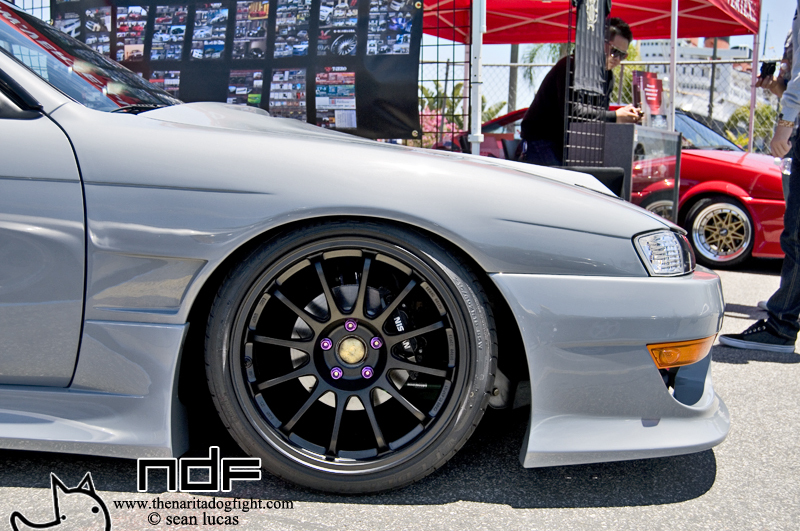 Another thing I liked about it was the wheels and the wheel fitment. 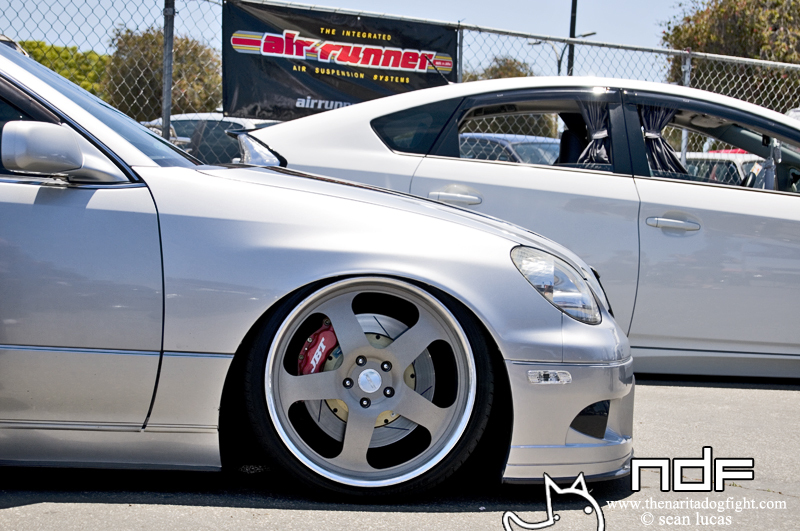 No ‘Hellflush’ business, or crazy, unreasonable camber. Just a great set of SSR’s in a matte black finish that fit perfect. I wish I could have talked to the owner and give him some credit for a proper build. 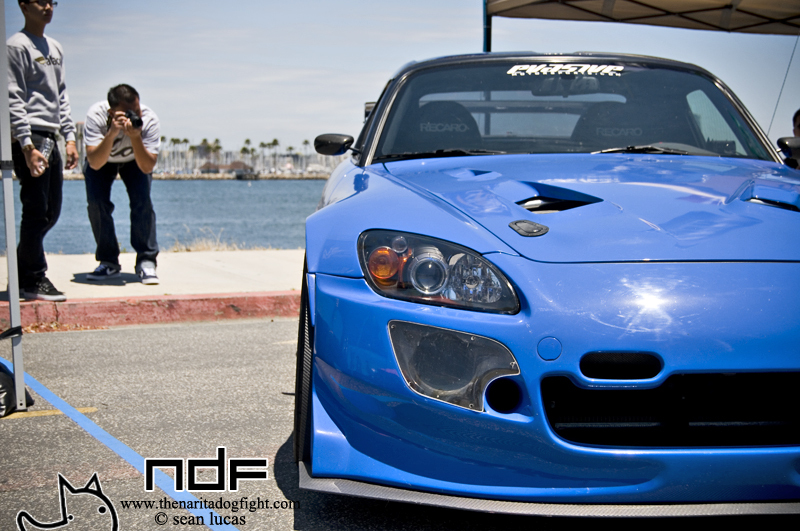 Wingless would have been cool, but I can dig the trunk lip. Alright…moving on – I got a little caught up in this one. 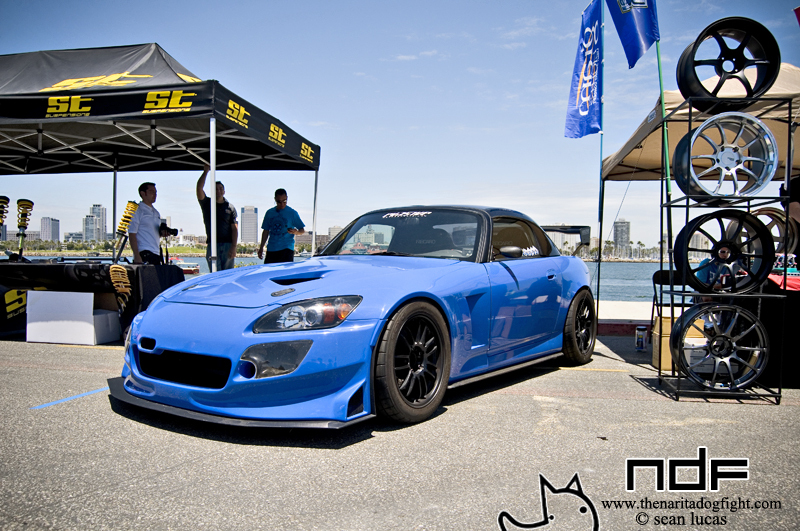 A little ways up next to the Volk booth was this Evasive S2000. I really like the color! I like this shot. I wonder how that dudes pic came out? Good hopefully! 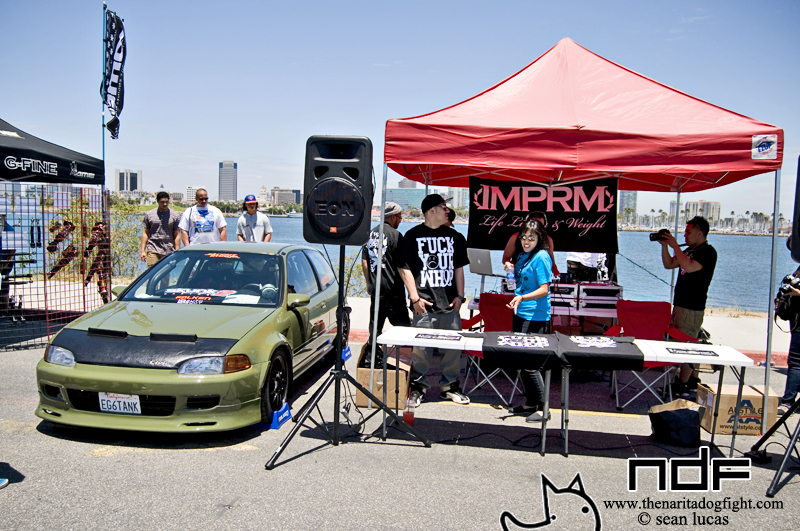 The IMPRM booth featuring G’s Tank. More on this later of course. 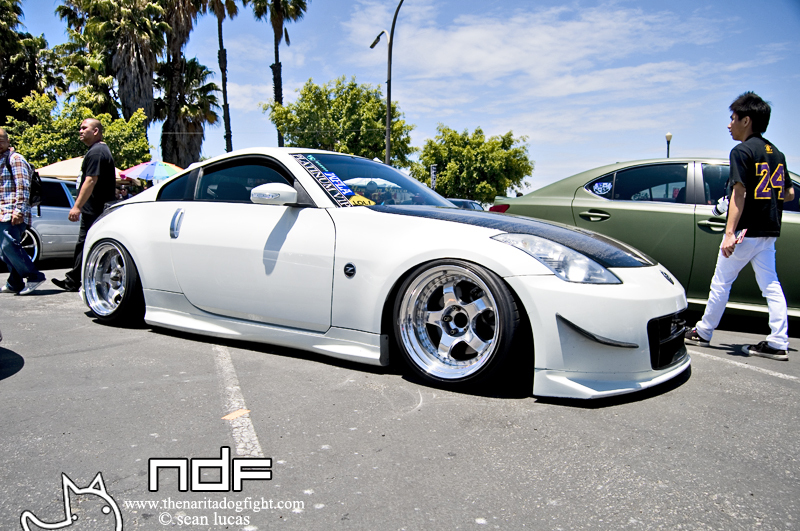 It seems like I see this 350 all over the place. It is still really, really, really low. If you went to the show, and see the order of these shots, you’re probably thinking, “WTF happened to the last two rows? 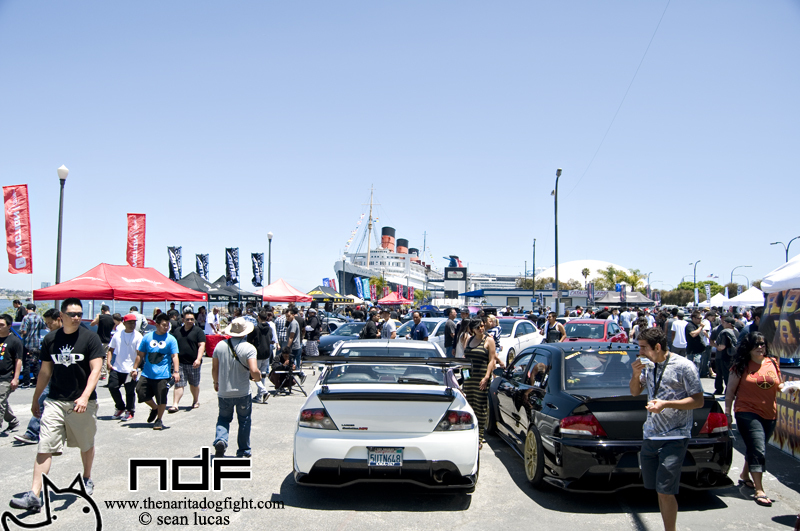 !” Well, a good portion of the parking lot area consisted of European cars. Lots of BMW’s, and a handful of Porsche’s, and if you recall, this is a Japanese automotive blog. Not that I don’t enjoy the hell out of them, but I have a duty to stay consistent. Caught this on the way toward the Platinum VIP RV. It has a 9K sticker on it – I wonder if he knows Joey? ASR had a neat static display that featured their sub-frame brace and other suspension products. This hatch was on a set of BBR Comps. I haven’t seen a set of those in a long time. I took a picture of them, but it came out crappy. I lied about not posting any Euros. This thing was f’ing hard. Other than the yellow calipers, there wasn’t one thing on it I would change. 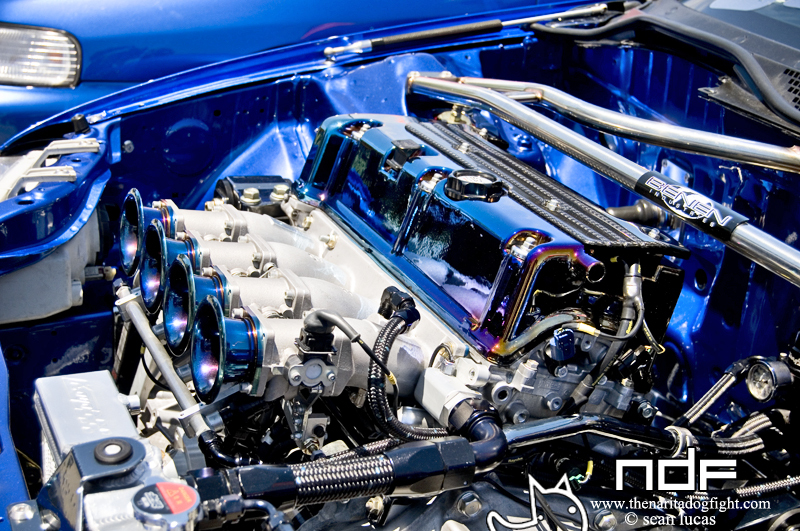 This was right in front of Big Mike’s Prelude at the Function x Form booth. I couldn’t really get a good shot of Mike’s car because there was always a billion people in front of it. 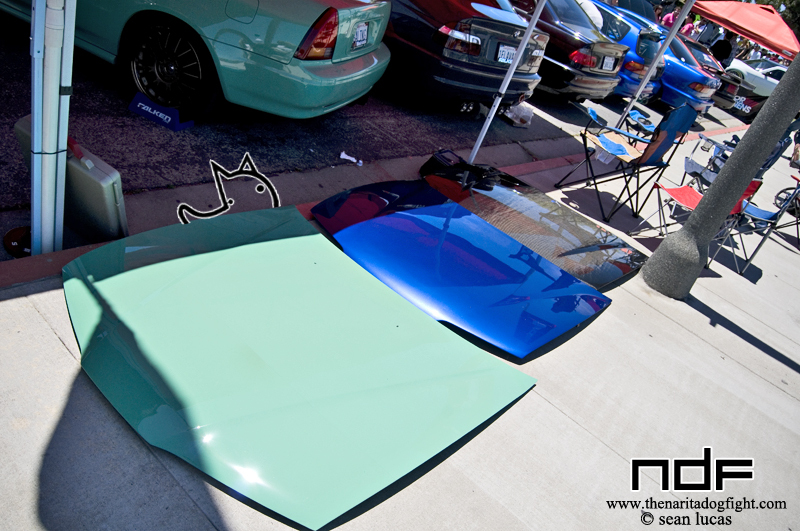 I did manage to capture his new Tea Station sponsored valve cover – I’ll post it up later. That, and Narita Doggy found his hood again. These guys were parked next to each other again. They make a good duo. Neo-Chrome defenders. Money. I think neo-chrome is catching on rather quickly. 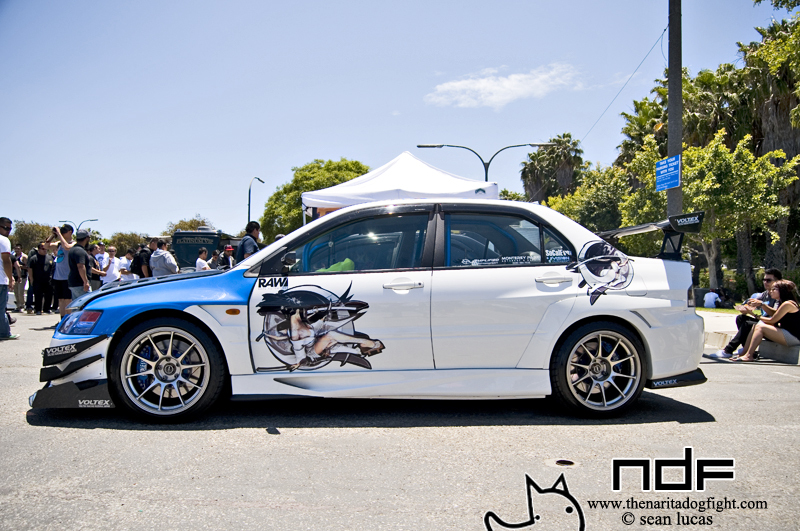 I’ve always liked this Evo. Again, probably because it’s white and has a catalog of Voltex parts on it. Not too sure what’s going on with the blue up front though. Kinda threw me off for a second. I think it would look better without any graphics. 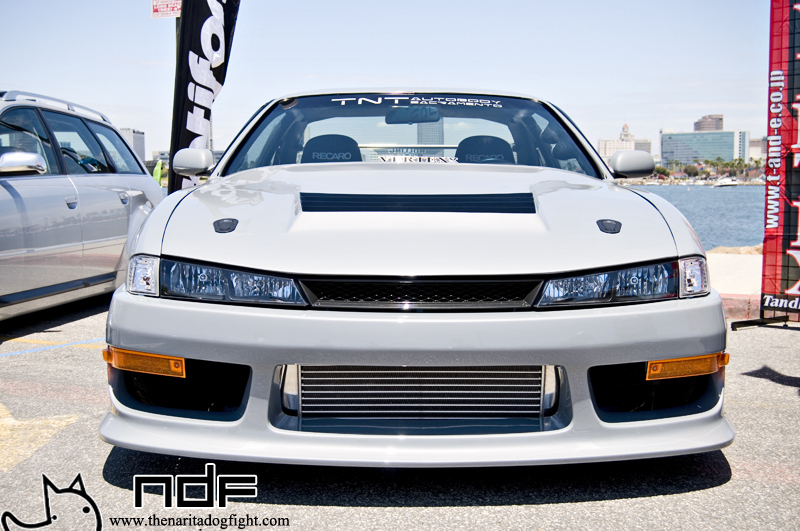 I like the purple tint on the headlights. It was parked next to this other cool black one. Looks pretty original to me. I’ve never seen a trunk lip like that. That does it for the parking lot area. In the next few posts I’ll be wandering around the grassy section, where the majority of the cars were. Another great show with an incredible turnout! The Queen Mary is a perfect venue for shows like this. I might be going to Houston for the day tomorrow, but check back soon for part 2! 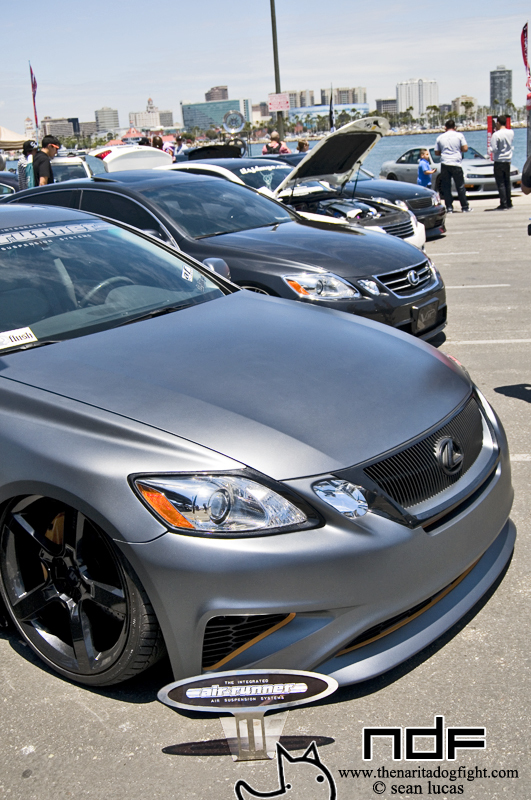 I think the wheels on the silver GS are Rotiform.